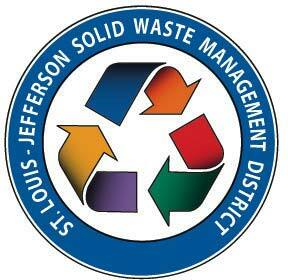 If you are like me, you can remember when curbside recycling was in its infancy in the St. Louis region. Only a few materials could be recovered, stored in those tiny stackable bins, and emptied into “eager Beaver” compartmentalized trailers that had haulers chasing milk jugs blowing down the street. Seems like eons ago but it has barely been 20 years. Recycling has grown into a global industry in the blink of an eye, but that has created some growing pains as well. Recent policy changes enacted by China have caused global shock waves throughout the recycling industry, and those will impact all of us in the very near future. As most of you know, single-stream collection led to a huge increase in residential recycling. It had the advantages of being very convenient for residents, and greatly reduced costs for collection. The trade-off for those benefits was a reduced value for the materials that now require extensive processing before they can be used in new products. Contamination from mixing materials together has always been an issue, and one that has been getting steadily worse. A lot of it can be attributed to “wishful” recycling when people think something might be recyclable, and issues such as increasing food waste contamination. Contamination levels have grown to where some programs were at 20% contamination. While contamination inched up, China still provided an eager market for single-stream materials. As their economy has matured, that began to change as China implemented tougher environmental policies to deal with growing pollution problems. For recyclables, this first resulted in the “Green Fence” program a few years ago. Stepped up inspections led to more rejection of sub-standard loads from entering their country. This was replaced by an even more drastic policy this year, the “National Sword”. This set contamination standards of less than one percent, and these standards took effect very shortly after they were announced. A long-standing market for a large percentage of single-stream recycling disappeared essentially overnight. Naturally, this has caused a serious disruption in the single stream recycling system. The loss of the China market has caused one of this region’s major recycling processors, Resource Management, to announce it would cease operations after October 31. As a result, other processors are working to add capacity, and additional processing capacity is also being arranged at recycling facilities in nearby regions. Area service providers continue to work on alternative processing solutions and are optimistic that services will continue with minimal disruptions in service in the short term. Costs are increasing rapidly for the near future, and this will impact cities throughout our region. This is a massive change that is going to take a few years to settle. It is important to remember that things are not as gloomy as they may appear. Recycling has risen to big challenges before. All of us have a key role to play in sustaining recycling. Contamination caused single-stream problems, and there is a large task at hand to re-educate our citizens to “Recycle-Right”. Drastically reducing contamination and following service provider instructions on how to participate are essential ingredients to successful programs that hold down costs and remain sustainable. Recycling has become a vibrant industry in our region that expands our economy, protects our environment, and improves our communities. I encourage everyone to continue to participate in your local program and be ready to adapt to additional changes that may be required. When the dust finally settles, recycling will continue to provide a way to reduce our environmental impact and support our local economy. This entry was posted on Tuesday, October 30th, 2018 at 12:19 am and is filed under November 2018. You can follow any responses to this entry through the RSS 2.0 feed. Responses are currently closed, but you can trackback from your own site.